Dinosaurs, although extinct, still have living distant relatives which bear some similarities to those grand creatures of the past. Guess Who, Mr. Dinosaur? is a children's picture book which teaches young readers about dinosaurs while helping them learn about common characteristics shared with living breathing animals today. This educational book is wonderfully illustrated with whimsical depictions of well known animals which may share a few things in common with dinosaurs of the past. This book will hold great appeal to young readers, which is no coincidence since it was penned by a young boy when he was just four years of age. 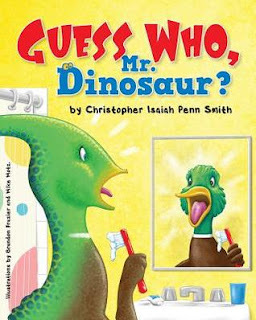 Christopher Isaiah Penn Smith's Guess Who, Mr. Dinosaur? is recommended for home and school libraries and has earned the Literary Classics Seal of Approval.